Strange Magicks is licensed under a Creative Commons Attribution 3.0 Unported License. Permissions beyond the scope of this license may be available. Posted to Flickr on 19 October 2009. 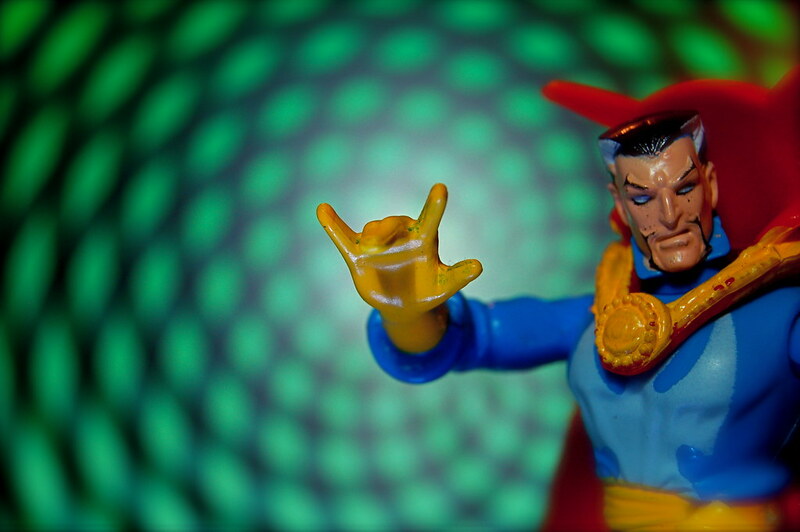 Doctor Strange is "Sorceror Supreme" in the pages of Marvel Comics. I purchased this Toy Biz action figure in 1996. Photo submitted to the Flickr group Macro Mondays for the "magic" theme. This photo was posted to Flickr on 19 October 2009. It was one of 500 images featured on Flickr Explore for that day. The last time I checked, it had 21,477 views on Flickr. Strange Magicks by JD Hancock is licensed under a Creative Commons Attribution 3.0 Unported License. Permissions beyond the scope of this license may be available.